We all know eating lots of fruits and veggies is important. However, our children often don’t care. Many kids are picky eaters, mine included which can be very frustrating. I was doing some research into ideas to help a very picky daycare child and really liked the “Eat Your Rainbow” approach. It’s simple and something young children can understand and help implement. “Healthy” is too abstract for a child but they can understand colours. Eat Your Rainbow means to eat fruits and vegetables of the different colours of the rainbow, trying to get a variety of colours in our diet and to try new foods. The colours are: red, orange, yellow, green, blue/purple and white/brown. There are lots of ideas on Pinterest as this is a common topic in schools. So this is what I did with the kids. I cut circles out of construction paper and then cut fruits and vegetables out of the flyers and the kids glued them on. Then I laminated them. Then I found this chart and printed it off and laminated it. I use a white board marker to check off what colours they eat each day. At the end of the week I can wipe it off and start again. Your children can also help you when you buy groceries to pick out different coloured fruits and vegetables. I love that it’s so visual and simple! This has gone over super well with my kids. They get excited to eat each colour and will try a little bit of something they don’t like in order to get the check mark. I also like that it’s easy to implement for me too (which is very important). Foods can be added to smoothies or hidden in snacks. And it doesn’t have to be all at one meal but throughout the day, this colour at breakfast, this one at snack, another couple at lunch. There is a lot of freedom in what you make and how you serve it. Speaking of serving, another thing we’re trying (which I’ve done occasionally in the past) is having lunch in a muffin tin. It’s cute and it helps me to give a variety of foods for them to eat. It also stops food from mixing or touching (which can be the end of the world!) and encourages a child to try a little of each section. Also it’s inexpensive compared to fancy trays ($3 each at the dollar store). Starting from a young age to encourage healthy eating will set them up for a lifetime of good health and good food choices. But don’t make it hard. If it’s too hard you won’t stick too it. Small steps, like eating more fruits and vegetables, are keys to success. A Peace Corner is a quiet place a child can go when they’re feeling out of control or overwhelmed or just want to cultivate peace. A Peace Corner is not a time out. 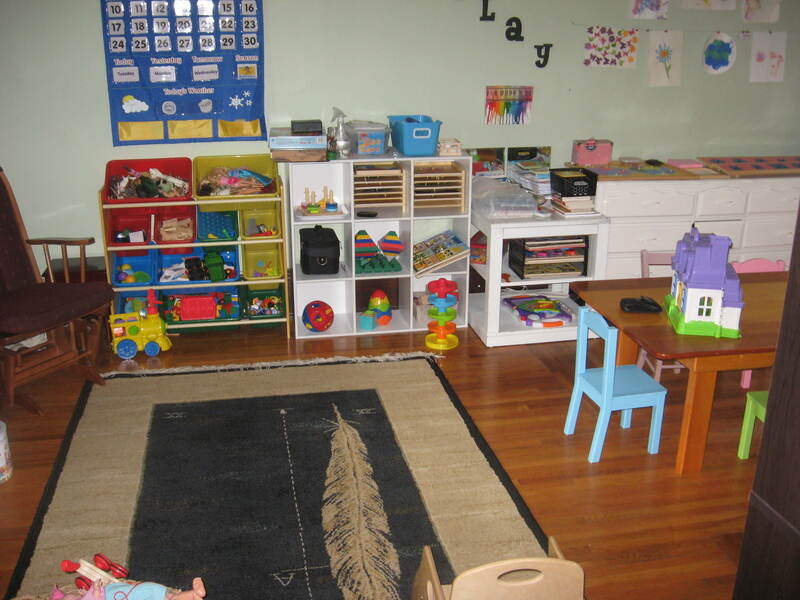 It’s a place for a child to go on their own accord so as to regain some composure or calm. 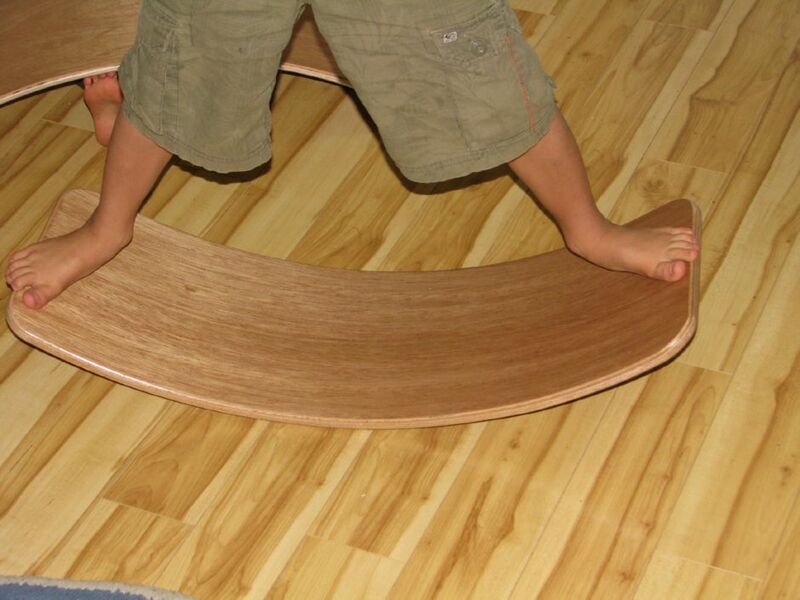 Creating and teaching a child how to use the Peace Corner is part of fostering emotional intelligence. I’ve wanted a Peace Corner for a while after seeing a lovely one here. However, space is limited in our home and I couldn’t figure out where to put it. We’ve eventually needed more shelving though, so that caused some rearranging and a space opened up. I moved the kitchen set from this corner. I put the fridge in Pumpkin 1’s room as a cupboard. The kids almost never played with the fridge. It’s a combined Reading/Peace corner. There’s a nice mat, some cushions and pillows and a blanket to make it cozy. There’s books on the shelf and I (I mean my husband) made a rain gutter shelf. I have a lot of gutter left and may add another one under it. However, note to others thinking of trying it, it’s not exactly cheap depending on your set up. The gutter is, but the end caps are $5 each. You need the end caps to keep the gutter from bowing forward. It’s not hard to put up, cut, glue the caps on, screw it into the wall (making sure at least one screw is in a stud, and if you have drywall you’ll need to use drywall studs). I really like the way it looks though and that I can put the books forward facing. I’m not sure yet though if I should give up leaning space for another shelf or not. A shelf above that one would be too high. Above the peace corner I made this simple mobile. I love watching the birds glide around, they go pretty nicely when the furnace turns on. It’s very relaxing. You can see my post about it here. This is the Peace shelf. These are the items currently on the shelf. We have this book about feelings, with simple text for young children. 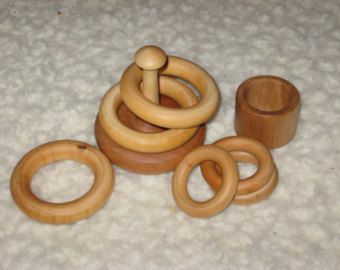 A knobby ball for sensory stimulation and massage. A massage roller. An Eye Spy bag. 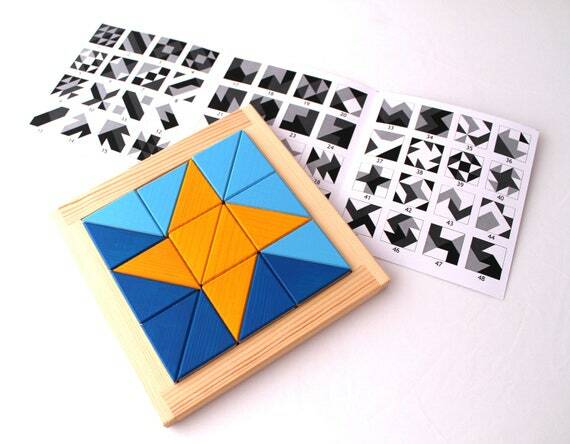 DT’s Rainfall Rattle for auditory and visual relaxation. A tension ball we made from balloons and flour and DT’s Tricky Fingers to help focus. We also made these water and oil bottles for a relaxing visual. Then we have a Kimochi set. The bucket is full of different emotions that can be placed in the Kitty’s tummy and used to discuss and express feelings. If I didn’t already have this I would love to have the Express It! Buddy from Discovery Toys. There are still a few things I want to add. I’d love to have a Finger Labyrinth. I can print off a paper one for now, but would like a wood one. And I really want a Buddha Board. 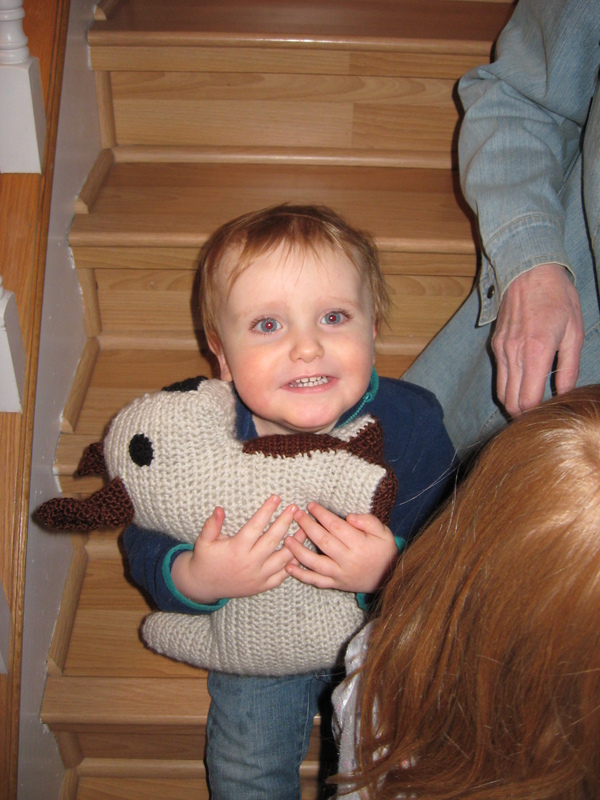 Right now I’m afraid Pumpkin 2 might ruin it so maybe when he’s a little older. There are many different things you can use in your Peace Corner. Look for items that are calming, relaxing and encourage focus. 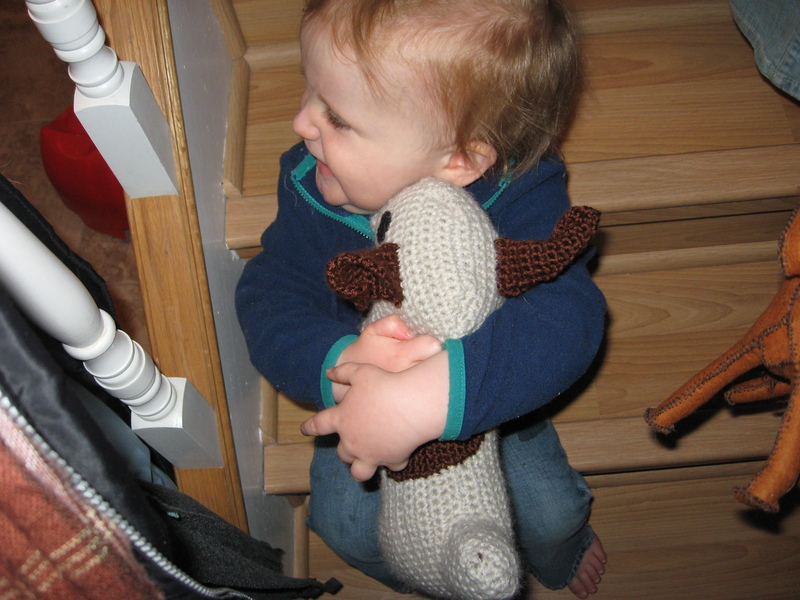 Also items that give simple sensory feedback are great. 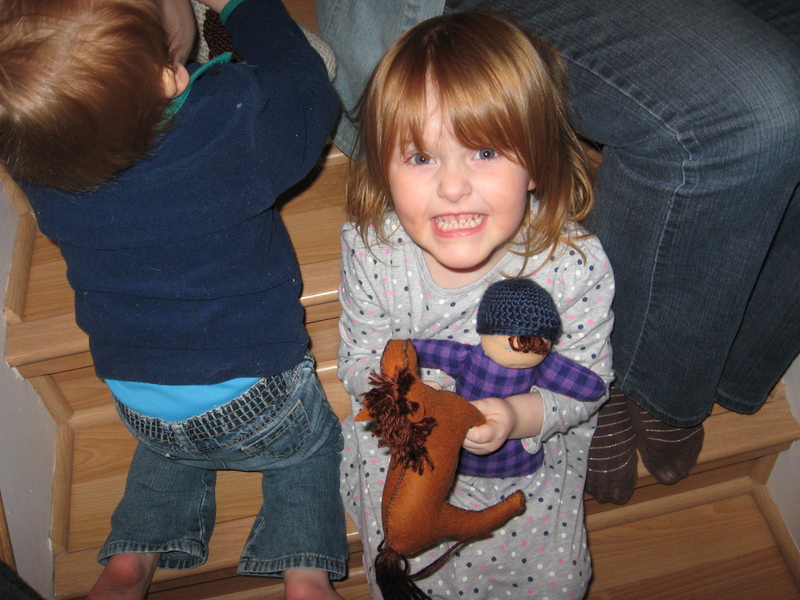 As well you want ways for a child to discuss, express and learn about their emotions. Depending on your child you could even have a plant or a fish, a rock garden, a mini water fountain, a terrarium (I might try that), there’s so many possibilities. If your child is old enough get them to help you in the planning and setting up the Peace Corner. 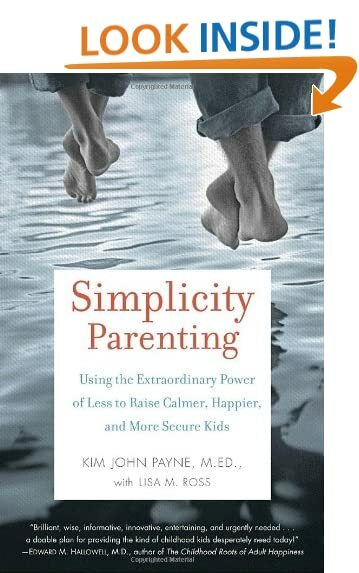 Teach your child how to cultivate a sense of peace when upset. You can do this by having them sit with your there and showing them how to use the items. Talk about how they make you feel inside. Gently encourage or ask your child when they’re feeling upset if they want to use the Peace Corner, never force them to or make them. It has to be their decision. The Peace Corner is not a time out. Model it to by using the Peace Corner yourself or creating your own. You don’t need a lot of space or fancy objects. You can probably fine many items to use around your house. Starting young will reap many benefits in the long run. I missed Wordless Wednesday yesterday. I was really busy trying to finish making gifts for my Pumpkins for Purim. So I thought I’d share some pictures from our fun today. I thought, since dressing up is part of the holiday, dying playsilks would be a great tradition. It’s the first time we’ve done it. 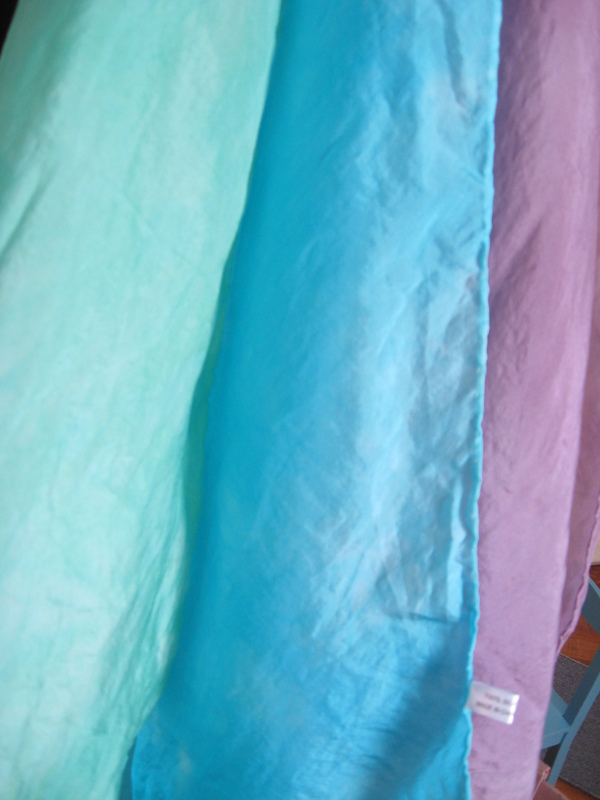 I bought plain silk scarves from the Dharma Trading Co I went with the 35×35″ Habotai scarves. I always thought playsilks were expensive and why were they any better than just scarves you can buy for cheap. Once I felt the silk though, I understood. It’s just lovely. 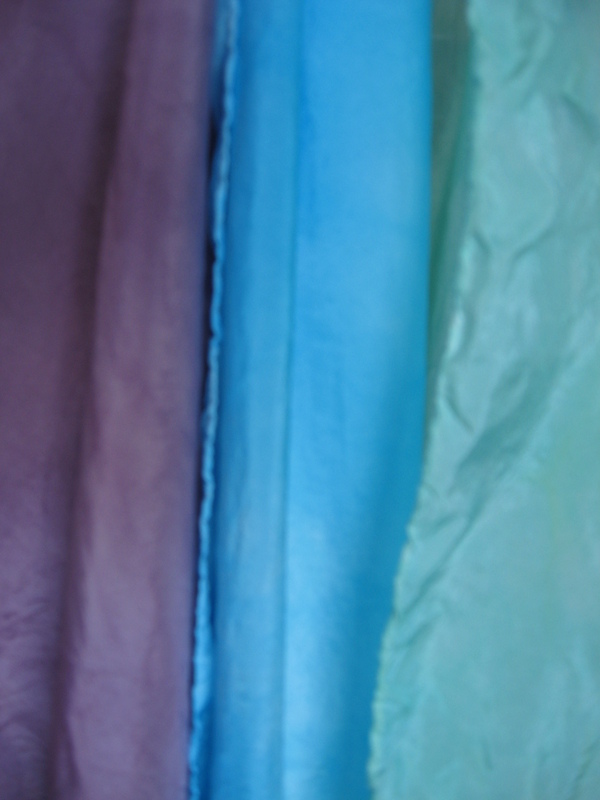 So smooth and lightweight yet strong, with a wonderful drape. I fell in love with them. 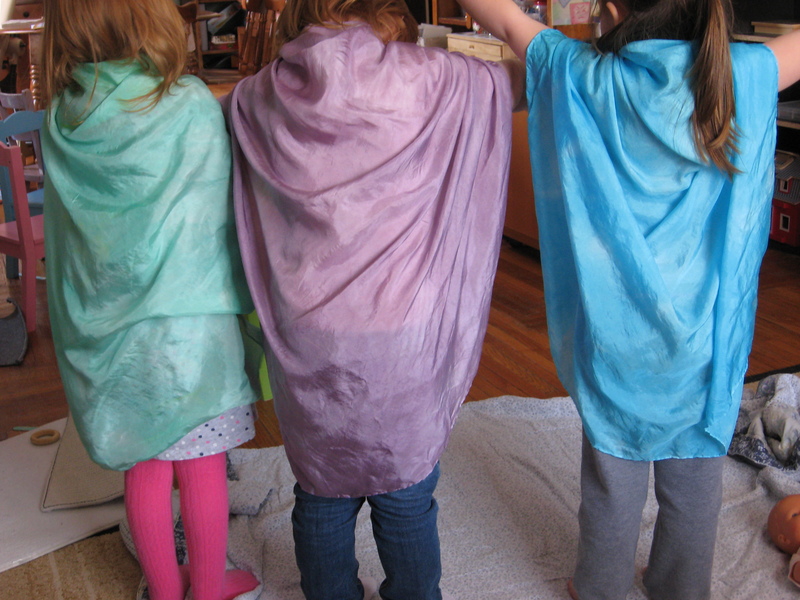 We dyed them with food colouring following recipes I came across online. It was really easy and they turned out beautifully. The kids loved them. 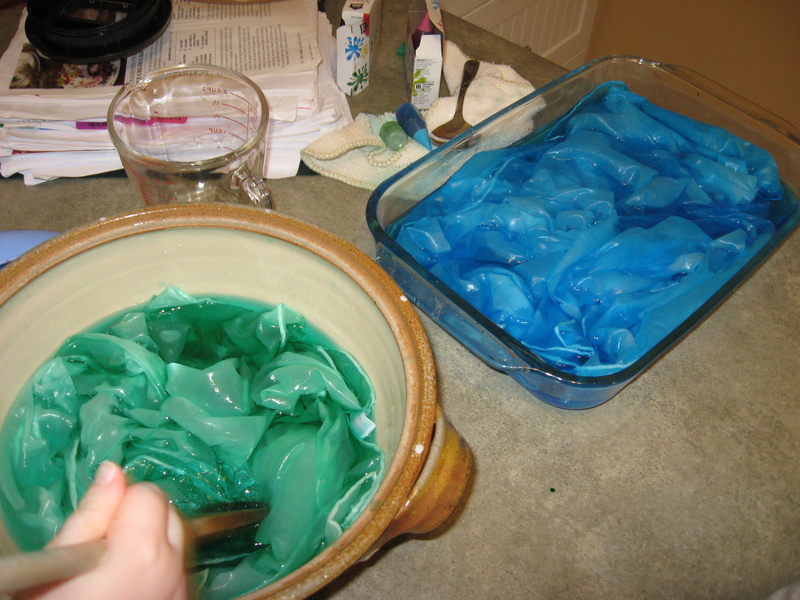 Dying the scarves with food coloring. 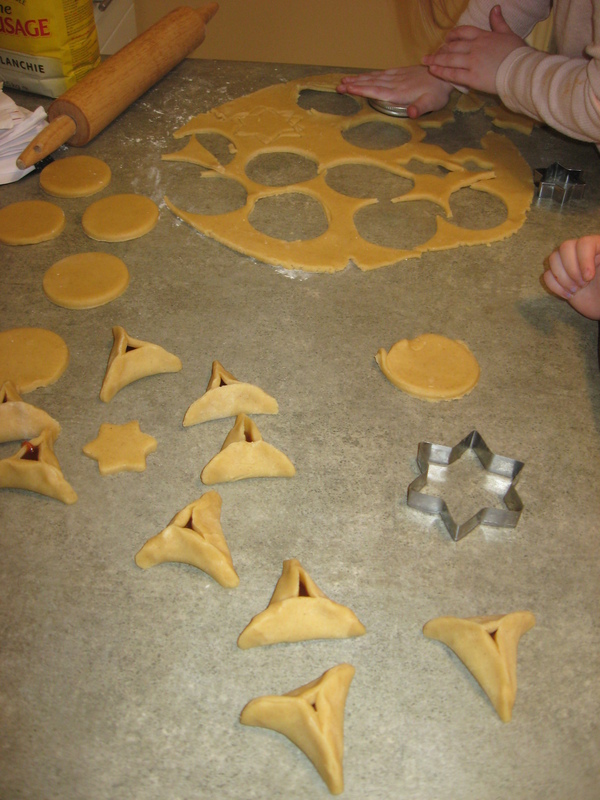 Then of course you have to make hamantaschen cookies for Purim. We used apple butter for the center. I also told them the story of Esther. I’m trying to do more story telling instead of reading from books. It was hard for the kids to understand at first (“but where are the pictures?”) but then I found they listen with rapt attention, something they don’t always do for books. Finally, after dinner I gave my Pumpkins their gifts I had made. A Waldorf bunting doll and wool felt horse for Pumpkin 1 and a wool crochet dog for Pumpkin 2 (his horse is still in process of being made). Gammie and Grandaddy also came for a visit to make everything complete. People always talk about a “family dinner”; how important it is to sit together and eat and talk. However, our dinner pretty much looked like utter chaos. One of us on the computer or reading the paper. Kids eating at the little table or already ate because they won’t eat what we eat, spills, crying for something else, refusing to eat, running away, time outs, me getting up and down and up and down or not even eating because I can’t sit for more than 2 mins, my husband and I arguing and mess all over the table. Anyway, it was far from a nice family dinner. And a candle changed all that. Waldorf pedagogy talks about the importance of candles. Candles play an important part in many religions. At one time fire was the only way of having light after the sun had gone down. A candle represented so many things – light, safety, warmth, family. What person hasn’t enjoyed staring into a flame at some point, seeing the magic of the dancing light. For us the glow of the Chanukah candles is so warming and beautiful. But a candle can do more than that. Children don’t have a grasp on time. Lighting a candle is a physical way to divide or mark time. Since we don’t use candles for light now, they are special, lighting a candle is a significant action that gives importance to something. Also because candles can be dangerous, they have a mystery about them and inspire awe in children. “You Are Your Child’s First Teacher” talks about lighting a candle at dinnertime. At first I balked – candles are dangerous, you shouldn’t have candles around children, there’s so much junk on the table it’ll catch on fire. But, I like to try new things so I thought I’d give it a try with a jar candle (after I cleaned the table off). It was magic. My daughter rushes to sit down for lighting the candle. We sing a prayer and then eat. My husband no longer has a computer in front of him. We talk about our day. We make faces with Pumpkin 2. Pumpkin 1 doesn’t always eat but she stays at the table since the rule is now that you can’t leave until we blow the candle out. She wants to be at the table with us. We are actually having family dinners. It so lovely and fun. It’s so special. When we’re done eating we recite a Hebrew prayer and then put out the candle. There was some safety concerns. I had to remember to stop reaching across the table over the candle to give something to my son, and my daughter knocked a small candle out of my hand today. She was given a stern lecture on being careful around candles but that’s important to learn anyway. And of course we keep them out of the reach of Pumpkin 2. He likes at the end to blow and then wave his hand in the air like we do to blow out the candle and then wave the smoke away. I never thought something as simple as lighting a candle could transform our dinner time. Perhaps it’s not the candle itself but the act of making dinner special and set apart; of making an effort and a tradition. Whatever it is, it has transformed chaos into beauty and I’m so thankful for that. Of course there are still spills, and refusing to eat and I still get up and down and up and down, but overall there is a feeling of peace, of closeness and of this time being special. It’s hard to find time together as a family with the busy life of little ones, it’s something you have to work to create and keep and is easy to lose. Creating a tradition of lighting a candle which says, this time, this time that this candle is burning, is our time together is a simple step that has had a big impact on our family. 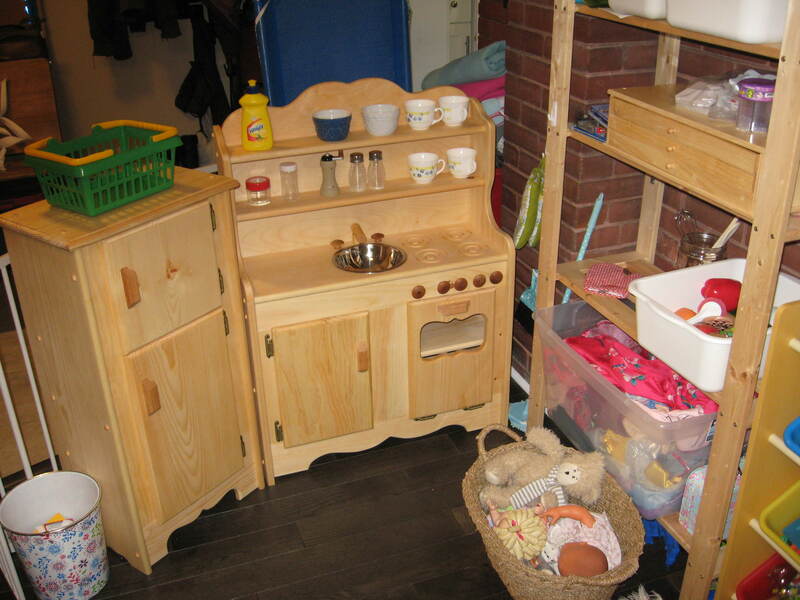 A while back I was just running out of space in our small playroom. I said to my husband, “you know, it’s me and the kids that live in the house the majority of the time, you’re only home and up for a few hours. 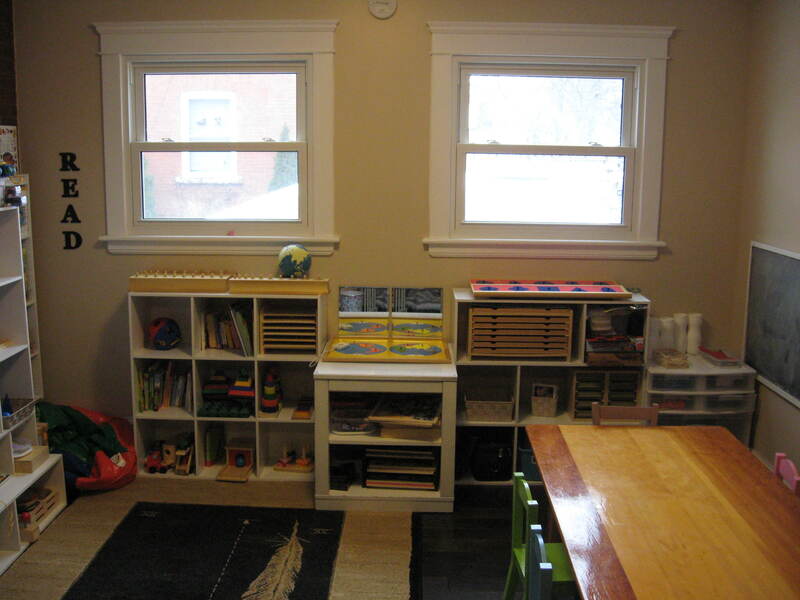 It’d make more sense for daycare and home schooling to have the biggest room for us and the small back room for the living room”. My husband agreed as long as there were no toys in the living room. So we set about switching the rooms. It was a large task as we decided to repaint the living room now to be playroom as it needed it. So, lots more shelves, lots more space and also lots warmer (the back room was cold), also brighter and more centralized. It’s perfect….well….almost….I’m always improving it some how. And here are the pictures. I’ll start on one side and go around the room to the right. I’ve been thinking for a couple weeks about putting up a daily routine for Pumpkin 1. It’s been hard getting her ready for bed at night. We have a routine, but sometimes Daddy gives her a bath and sometimes Mommy, and since she’s at the “I only want Mommy” stage, she’ll throw a fit when Daddy goes to bath her. After she’s in bed she also wants a billion things, “need hat!” “need glasses!” “need water!” “no yike shadow” and last night, “no yike birds singing” lol. Also in the morning it’s a bit of a rush. Daycare kids are here before she gets up so she needs to get up and pottied and dressed quickly. I hate rushing her, I love the mornings with her, but the other kids need me too. So my hope was a visual routine would help her stay on track, be fun and be something she could follow as she gets more independent as well as give her a sense of security whether it’s Mommy or Daddy getting her ready for bed. So first off I needed to find some routine cards. I can’t find the set I actually used to post but these are the same, only in black and white. Next I printed off the ones I needed and laminated them. I was going to mount them to card stock first but I forgot, so I might redo them down the road. Then I attached adhesive magnets to the back. Then came the hard part, what to put on the wall for them to stick to? I was going to use a cookie sheet from the dollar store but it wasn’t long enough and looked silly. I thought and thought about what I might have that was magnetic, and then it came to me – can you see in the picture what I used? Metal rulers! My mother always had a metal ruler. So I asked hubby to pick some up at Staples (as he had to pick up some calender pictures I had laminated). They’re the 12″ ones and were like $2.50 each approx. They also have 16″ ones. I used the Command removable hanging strips to attach the rulers to the wall, and voila! A magnetic daily routine chart. Pumpkin 1 was very intrigued by it. 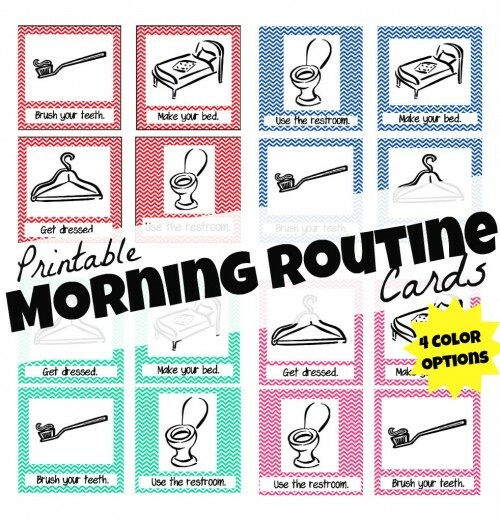 The top two rows are the morning routine and the bottom two are the evening. I wanted it to go from left to right then down as a form of pre-literacy training. 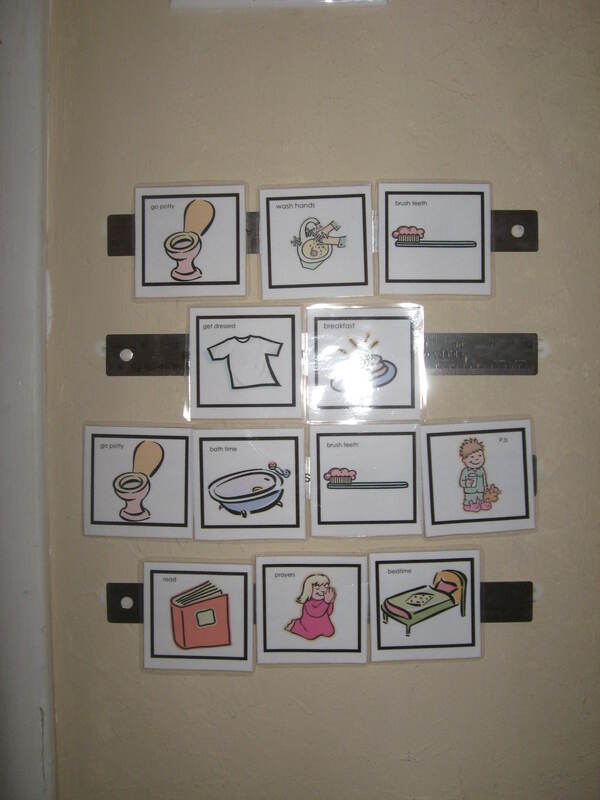 I posted it in the hallway between her room and the bathroom so it’s easy for her to refer to for bathroom things and bedroom things. Now I’m just wondering if I can paint the rulers so they look a little less like, well, rulers! Anyway, she went to bed very easily and didn’t ask for anything! However, I’m not holding my breath. It might just have been a fluke. Pumpkin 2 helped me install our routine by bending a card and eating a wrapper from the Command strips. He was very intrigued as well. By the way, the previous owners did the terrible paint job. Makes me cringe. 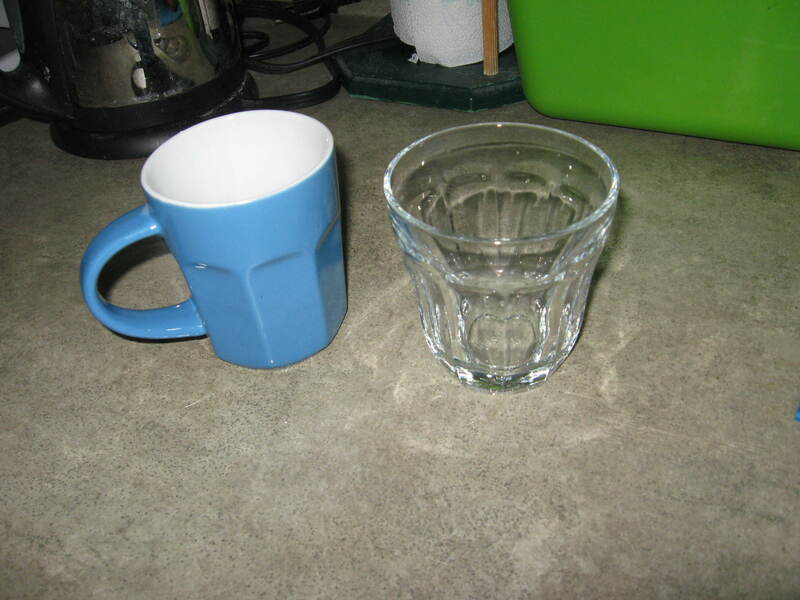 Glass cups? For a baby? You have got to be kidding me! 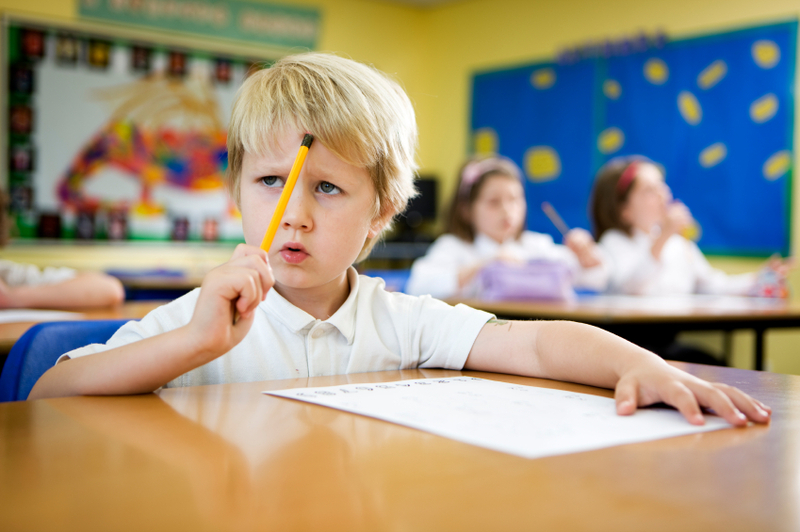 Maria Montessori taught about the importance of teaching children to do things for themselves. She also stressed creating a beautiful environment full of beautiful things, often breakable. She found that if a child was given something fragile, they were more careful with it than something that they could throw around and wouldn’t break. Yes, glass cups and china plates will get broken by your child but your child will learn a lesson beyond the value of the dishes, he will learn that if he isn’t careful, it gets broken and is gone for good. A child quickly learns to slow down and do things gently. I must admit, I was against this at first. I remember Pumpkin 1 throwing plates and cups on the floor, recently even flinging one on my lap. I don’t really want to have to clean up glass as well as food and I worry that soon I’ll have a mobile baby that could find a sharp piece that I missed. At the same time though, what Maria says makes sense. We give our children all these cheap plastic dishes that look like their toys. We don’t trust them and so they don’t learn to be careful. In fact, I only started giving Pumpkin 1 an actual cup rather than a sippy cup this past week. And she did spill it, in fact she dumped a cup of milk on her head trying to put it on the counter. But she quickly learned how to use it properly. She probably could have been using a cup for a long time if I had just let her. I’m also introducing solids to Pumpkin 2 who is 7 months and I’ve decided to be more “Montessori” about it, so he’s getting a glass cup. I started off with a trip to the Dollar Store. 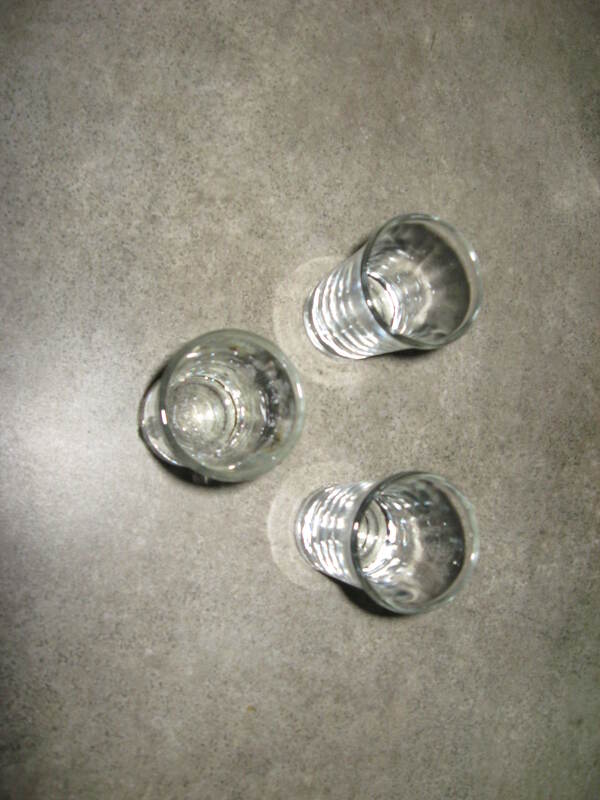 For Pumpkin 2 I got some shot glasses which are the perfect size for little hands. For Pumpkin 1 I got some glass cups, her own small mug, some ceramic bowls (two are Ramkin cups) and a little pitcher (a mini measuring cup). 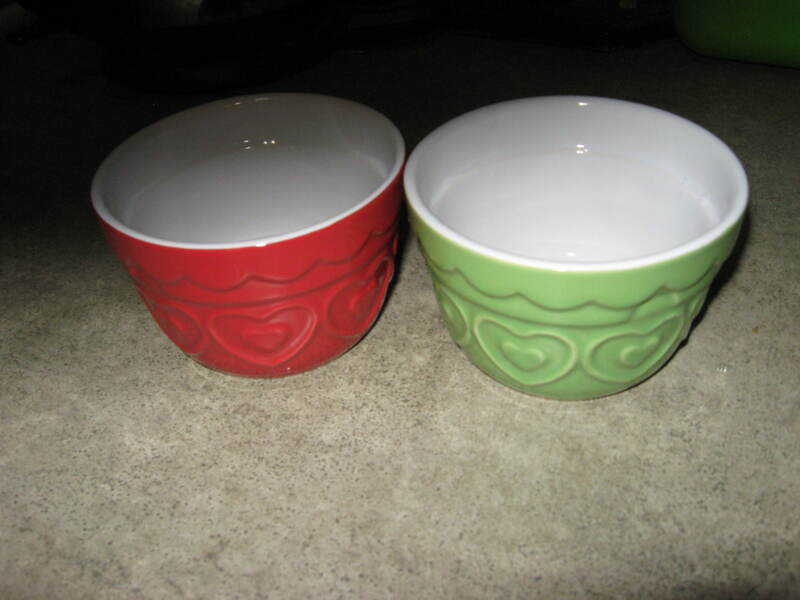 Ramkin bowls are a great toddler size and so pretty. 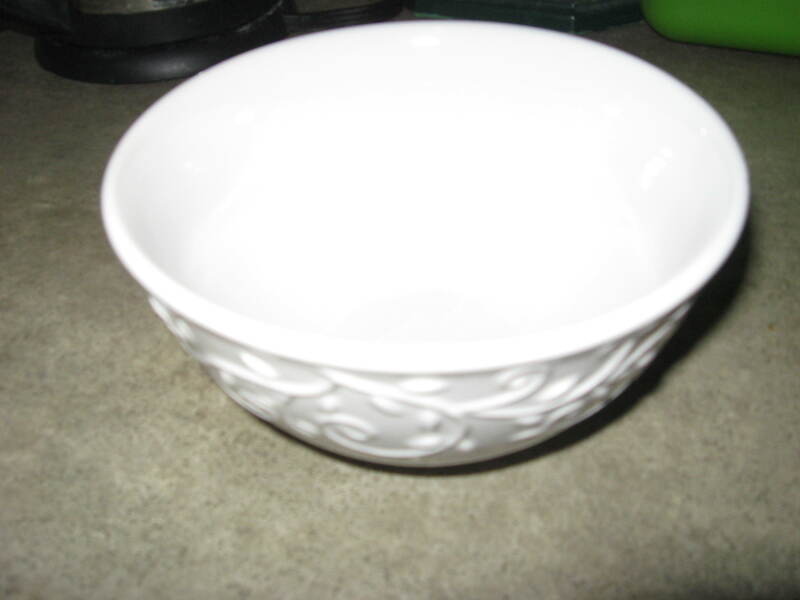 A larger ceramic bowl for cereal. 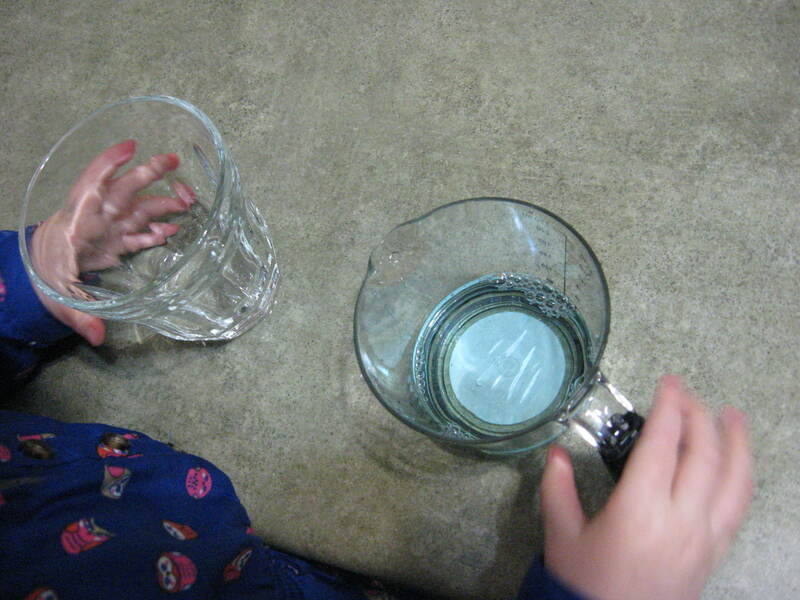 After I got home I let her experiment with the pitcher and a glass cup. 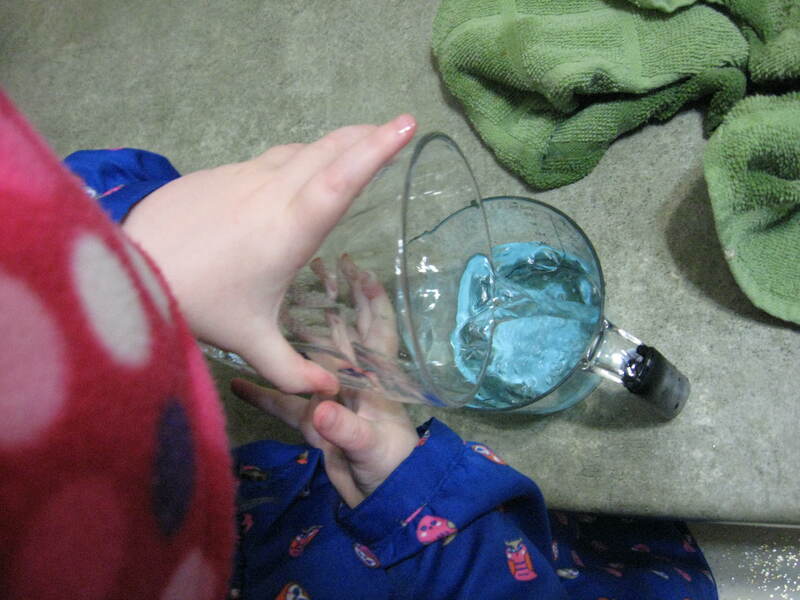 She loved pouring the water between the two. It did make a big mess but water is easy to clean up. I think pouring seems to be a sweet spot in learning for her. I’m going to try to give her more opportunities to pour. 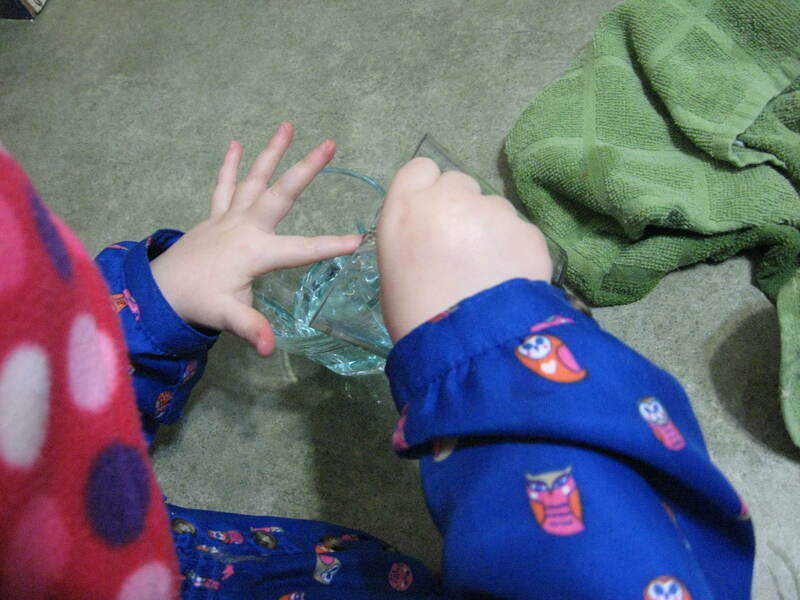 She likes pouring herself water and milk to drink in the glass cup. She liked the little bowls but had a melt down because I used the green one for Pumpkin 2’s food and she decided she wanted it. For Pumpkin 2, with introducing solids I’m doing a mixture of Baby-led weaning and the Montessori approach. I don’t have a weaning table so he sits in his high chair. He hasn’t been too sure what to do with food yet but he’s starting to figure it out. I’ll put a little food on a spoon and put it close to his mouth and let him take over. It’s messy but he’s learning to feed himself. Baby-led weaning is giving the solid food, not purees and letting them feed themselves. He hasn’t really figured that out yet, we’ll keep trying. Both my children’s first food was avocado. And so, we’re on a new and exciting (yet messy) path. Here is a video of a 9 month old eating and drinking – such independence! I finally have our playroom “almost” how I want it. It’s not a very big room so it’s been a challenge to have everything I want organized yet there still be room to play. 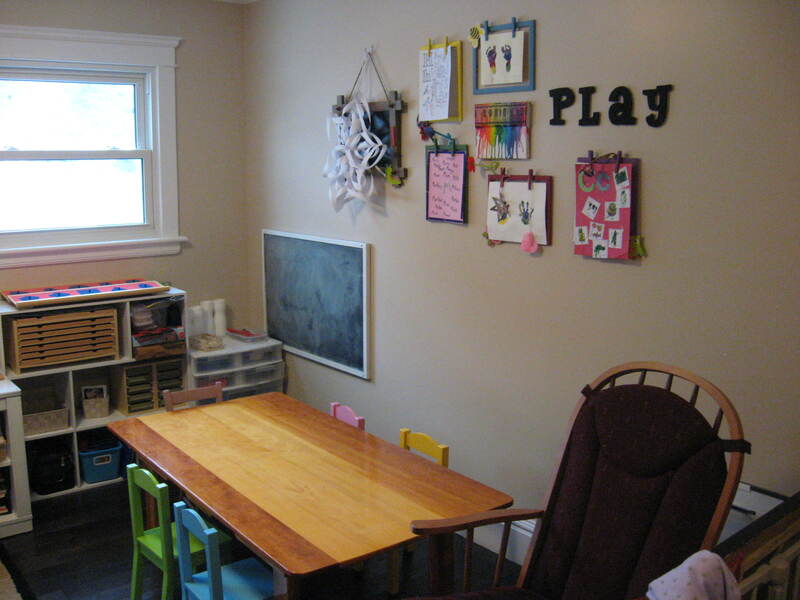 This room doubles as a playroom/daycare room/school room so it’s not an ideal Montessori room. Also with Pumpkin 2 going to be getting into everything before I know it, I’ve had to arrange things so that materials with small parts are up high. So, with that in mind, enjoy your tour! Lots of light from the two windows. Looking to the right of the room. Against the gate is a carrom board, a game from India. You can’t see them but beside the chair is a pail that holds two carpets for doing our work on. Looking to the left of the room. Do any other mothers have the same problem of their stuff being all disorganized while the kids’ toys are all neat and tidy? 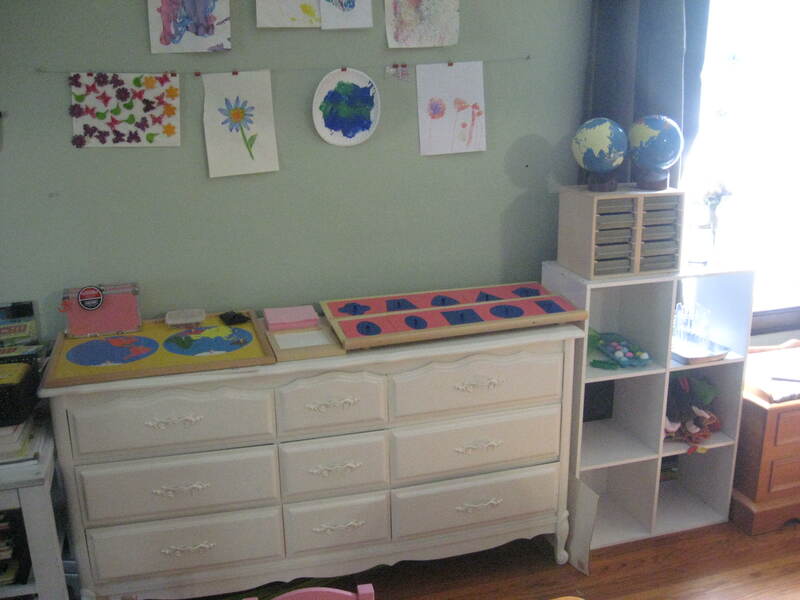 The drawers on the right have all the craft stuff. The containers on the top usually have pipe cleaners in them but the kids use them up fast. 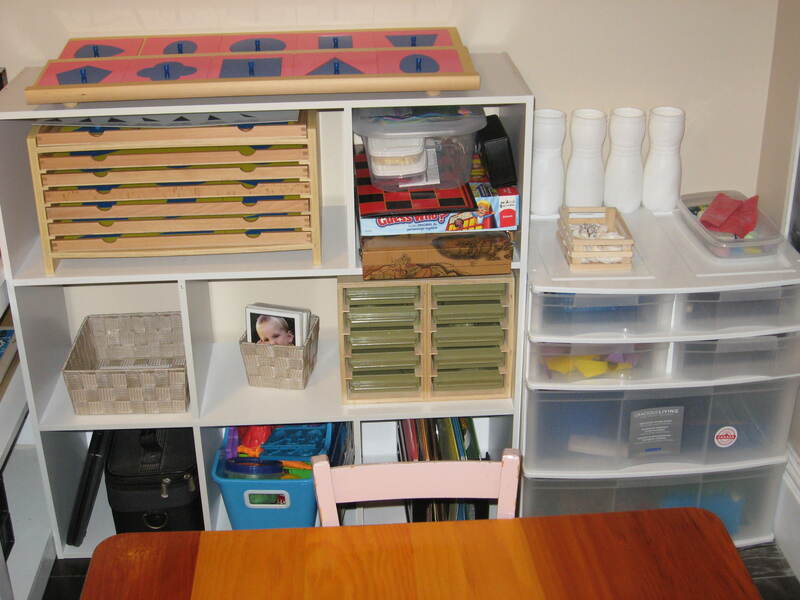 The shelf has the metal insets on the top, below is the geometric cabinet and board games, below that is a basket with cards for the cabinet, emotion cards and the land form trays. 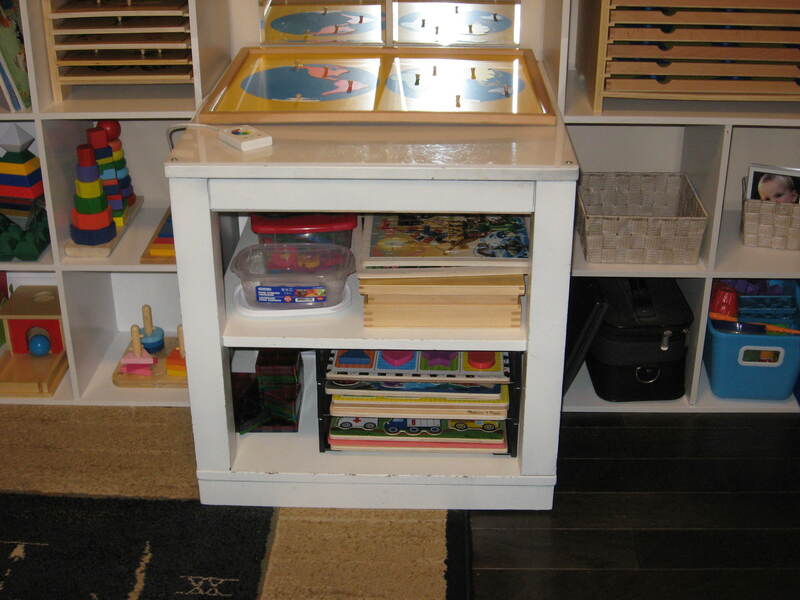 Bottom shelf has a toy laptop and the doctor’s kit, playdough and a file with different types of craft paper in it. The shelf is a 9 cube shelf that I put together without all the dividers so that I’d have more space. This white shelf is an end table that I’ve made into a light table. The world map puzzle is stored on top as there isn’t really anywhere else to put it. 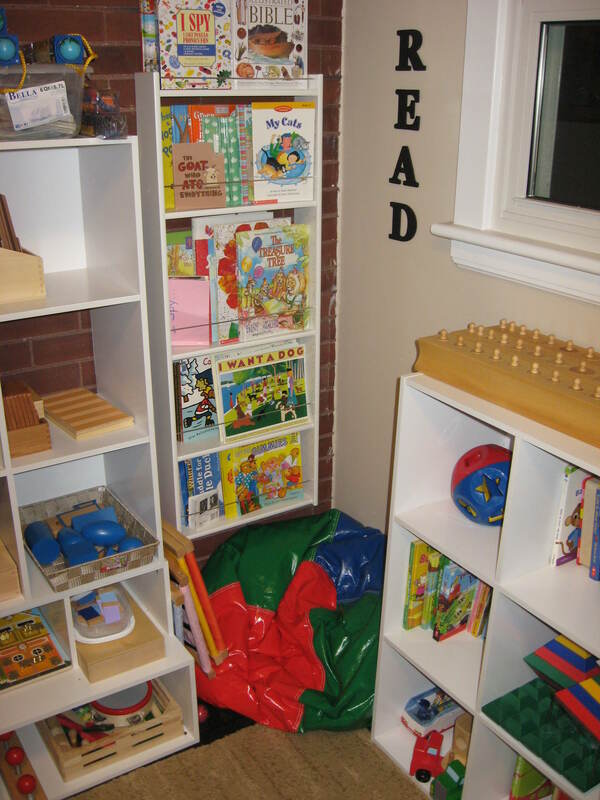 Underneath are puzzles, movable alphabet and in the container is pre-reading card activities. On the bottom are puzzles and our magna tiles (a favourite with all the kids). On the window ledge here you can see the small pieces from the pink tower and the knobless cylinders. On the shelf I have the knobbed cylinders which have small pieces in them and the sand paper globe which also has the pin that is a choking hazard. 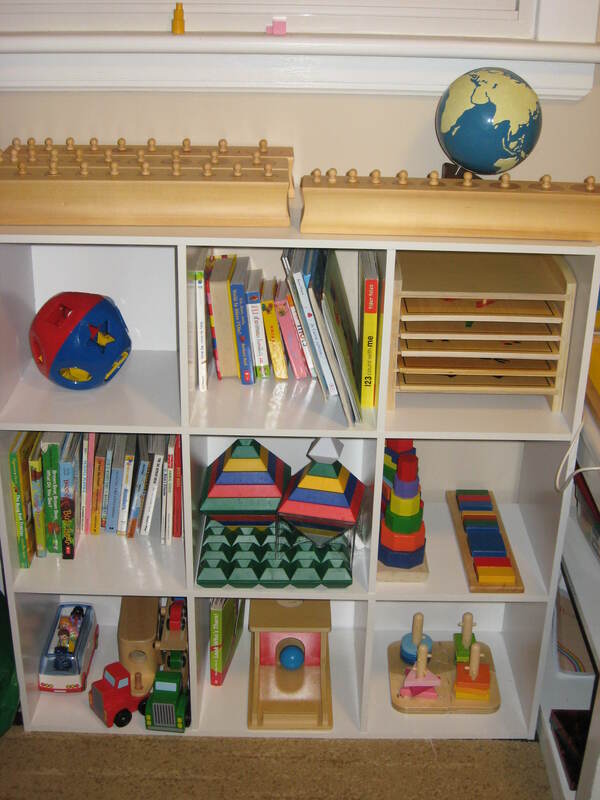 The top row is a shape sorter, our French books and Montessori puzzles. Below that is board books, Wedgits (another favourite) and a stacking toy and puzzle. 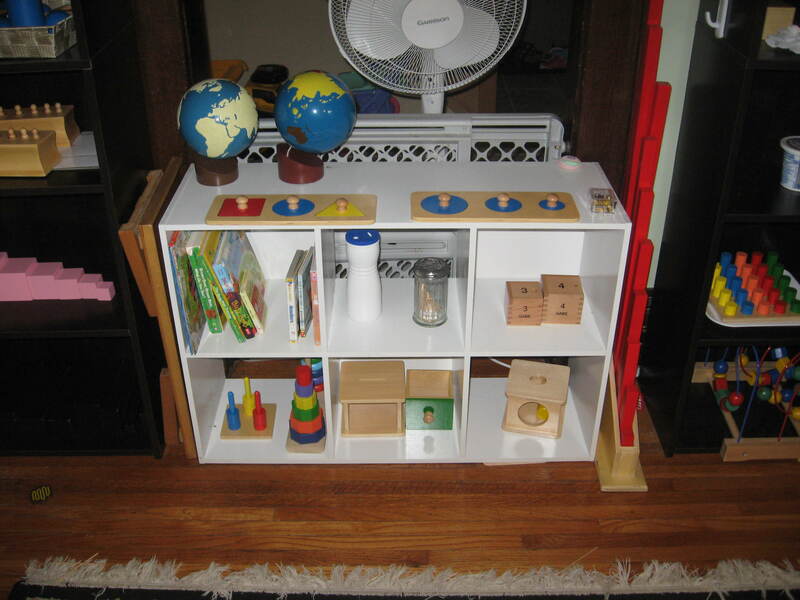 Bottom shelf is toy trucks, object permanence box and Hape peg puzzle. This is our reading corner. I need to make it a little more cozy. And maybe a mirror on the wall. You can also see the dressing frames leaning against the shelf. I need to find a place for them still. 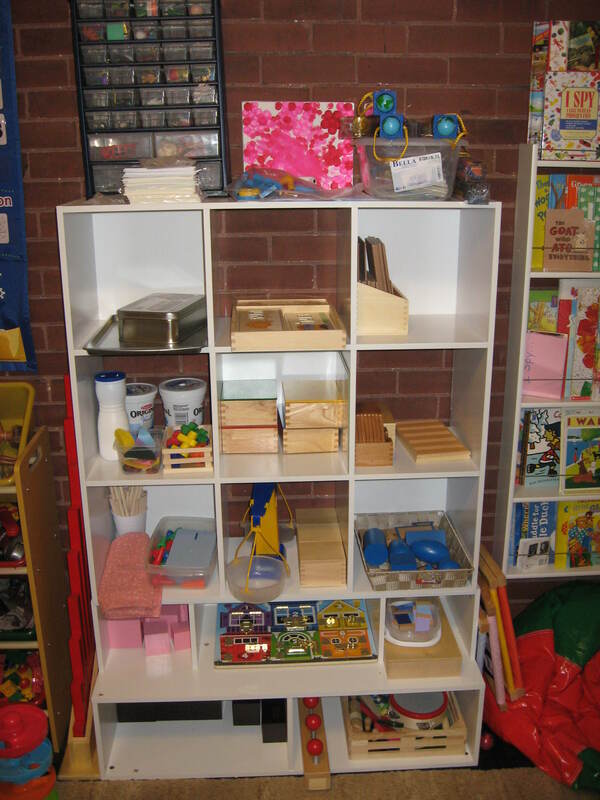 This is our main Montessori shelf. The drawers on the top hold the objects for the language sounds. There is also some cards and a container of cards, some Toob figures I just got and a bingo dabber picture done by Pumpkin 1. First row is magnetic Mighty Mind, Melissa and Doug spelling puzzle and sandpaper letters. 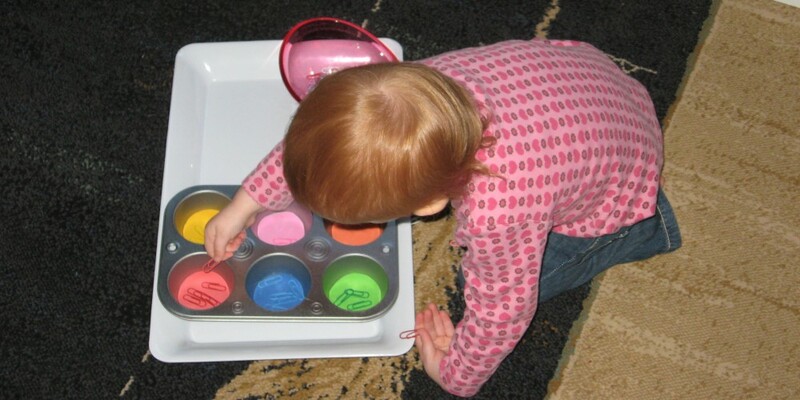 Next row is some fine motor activities, the knobless cylinders, and the touch boards and Thermic tablets. Below that is my cloth spindle “box” and number peg boards, the baric tablets and weigh scale and the geometric solids. New row is the pink tower, Melissa and Dough latch puzzle and the colour box. The bottom has the brown stairs, screw board and our music instrument box. To the left of the shelf is the red rods. 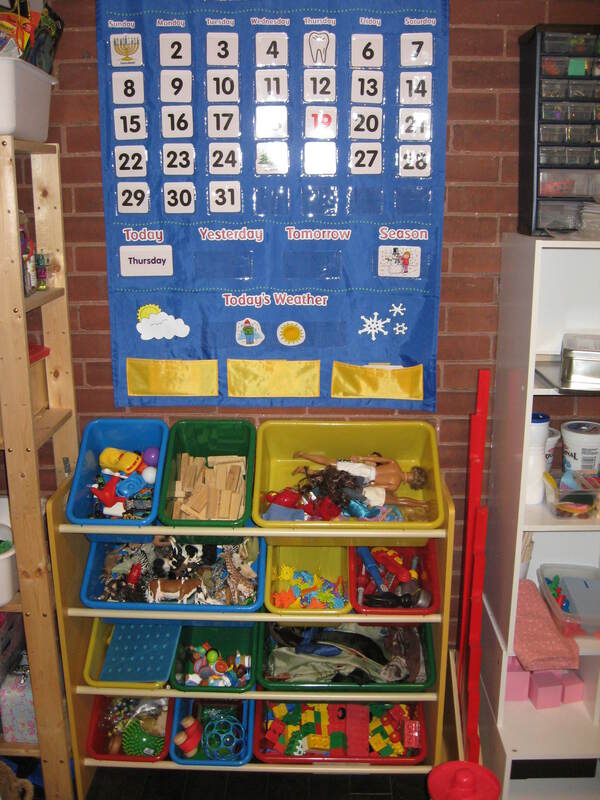 This is our calendar and weather chart and the shelf has our toys in it. Cars, Jenga blocks, Barbies, animals, connecting toys, tools, peg board, Little People, scarves, Pumpkin 2’s toys, and Duplo. 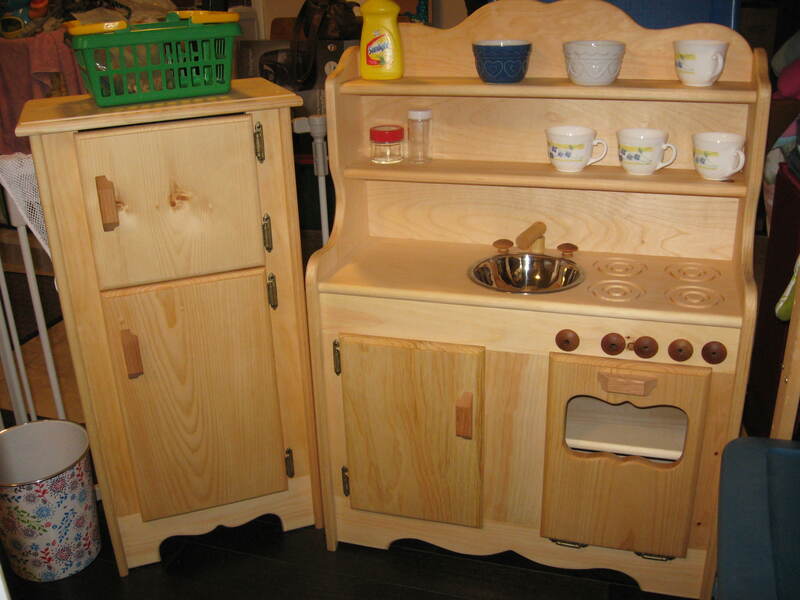 This is our new Elves and Angels’ kitchen. 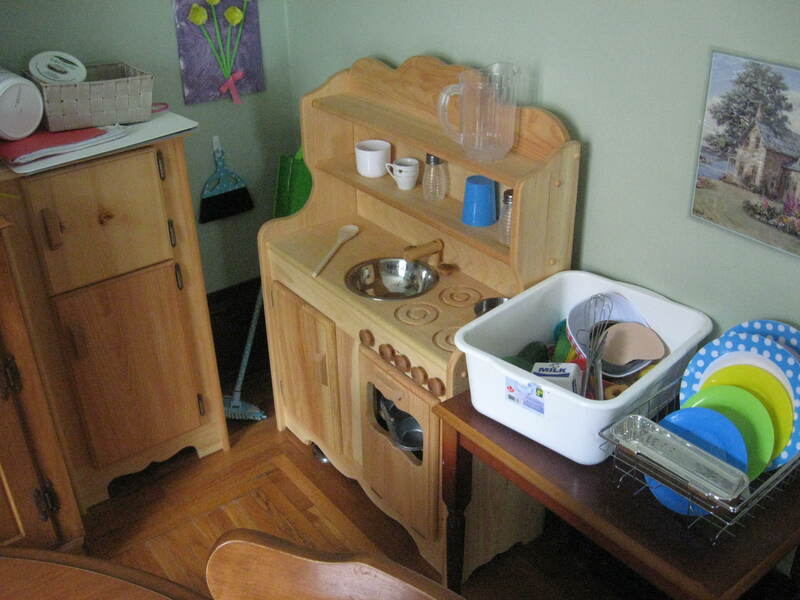 The shelf has a box of dress up clothes, play food and dishes and above that the Leaf cabinet and our music collection. Above that is materials for Practical life activities (out of reach of Pumpkin 2) and above that is a bunch of stuff for crafts. 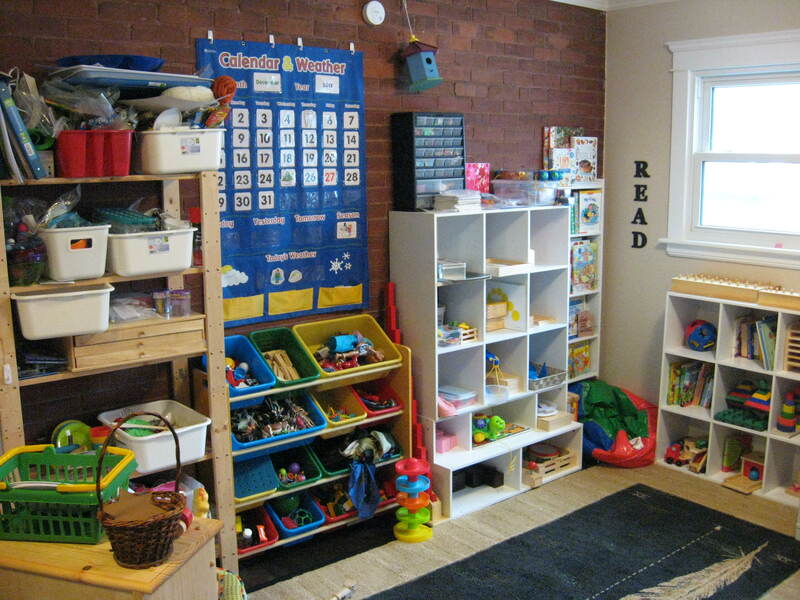 So that is our playroom. It’s been a long time in the making and will probably still go through changes. It’s not ideal, lots of things out of reach, but I think it’s more important to be safe. Most of the Montessori material is too advanced for Pumpkin 1 but she’ll be old enough for it before I know it. Also I use it with my 3 year old daycare child and sometimes with my after school daycare children. I think I’ve done a good job with the amount of space we have. Everything is organized and not too cluttered. The toys are mostly open ended toys or learning toys. We have a nice area on the floor to work and a beautiful table to work at, just the right height. The rocking chair is great for me to watch from and nurse Pumpkin 2 in. The room is safe enough for Pumpkin 2 to roll around and pull stuff off the shelves at his height and Pumpkin 1 can reach most of the things. The gate keeps the dogs out and the kids out when need be and keeps them in when I need them in. The walls are simply decorated and I’m able to display the children’s art work. I did put things above their eye level but I don’t want things ripped of the wall and the paint ruined. So, would you like to come and learn with us?